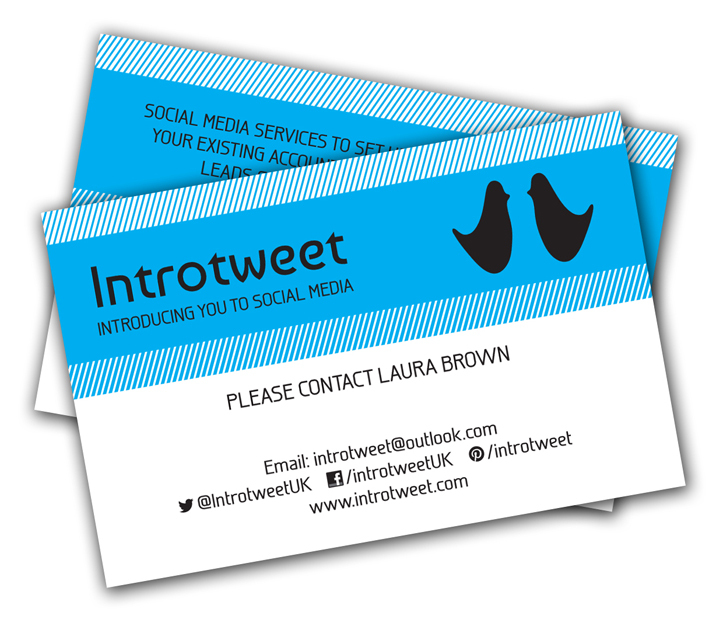 Introtweet are a UK based social media management and training business and were looking for a new design for their Business Cards along with other social media design. “Working with Dylan was an absolute pleasure from start to finish. I asked Dylan to produce both my Business Card Design & Twitter Avatar for my Social Media Business – Introtweet. He used my existing (very basic) logo to create an avatar & design that really stands out as a high quality, eye catching design.